The Ars edendi Lectures have been organized by the research programme at Stockholm University funded by Riksbankens Jubileumsfond during the years 2008-2015, with a focus on editorial methods for dynamic textual traditions of medieval Greek and Latin texts. The contributing authors of Ars Edendi Lecture Series, vol. IV. are leading experts in the field of editing. This book has been edited by by Barbara Crostini, Gunilla Iversen and Brian M. Jensen from the Department of Romance Studies and Classics, Stockholm University. Ars Edendi Lecture Series, vol. IV. 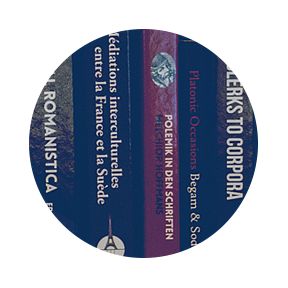 is published by Stockholm University Press in the Series Studia Latina Stockholmiensia which is a peer-reviewed series of scholarly editions of Latin texts as well as monographs and anthologies of Latin studies. SLS includes Ars Edendi Lectures as a sub-series. How to access Ars Edendi Lecture Series, vol. IV. At the Stockholm University Press website you can download an ePub, Kindle or pdf-file that allows you to read the book online or access it on multiple devices. You may also also order a print copy of the book through the website. Stockholm University Press (SUP) is an open access publisher of peer-reviewed academic journals and books. We aim to make journals and books affordable, and to give them the widest possible dissemination, so that researchers around the world can find and access the information they need without barriers.